Accessible Hire Car is dedicated to provide personalized, quick-response, convenient and accessible transport services to wheelchair users. 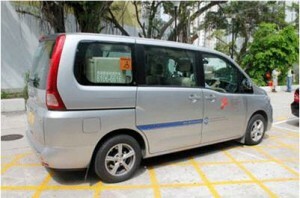 Each vehicle is a 7-seater and equipped with ramps and wheelchair tie-down & occupant restraint system. It can pick up maximum 2 wheelchair users together with 2 other passengers or maximum 1 wheelchair users together with 5 passengers.